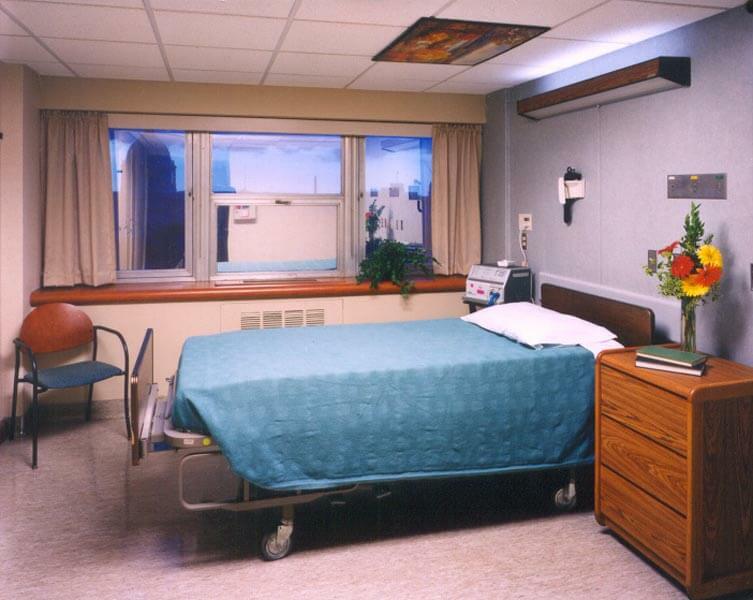 Renovation of the Fifth Floor Respiratory Care Unit met the primary goal of creating a warm, comfortable, and healing environment for patients and their families whose average length of stay in the Respiratory Care Unit is 42 days. The design concept developed included a rich color palette, warm wood tones and organic carpet patterns to provide cues to the natural environment. 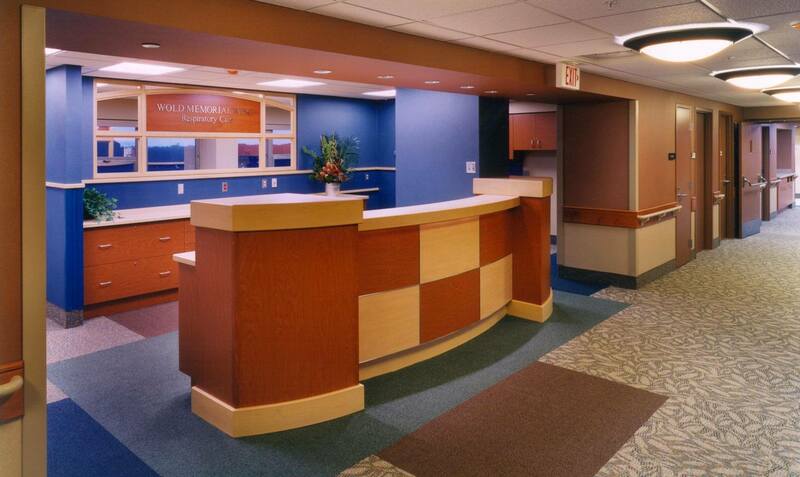 The team developed an architectural system throughout the corridors with ceiling soffits, mirrored by carpet bands on the floor to compartmentalize the patient rooms into groups of four. 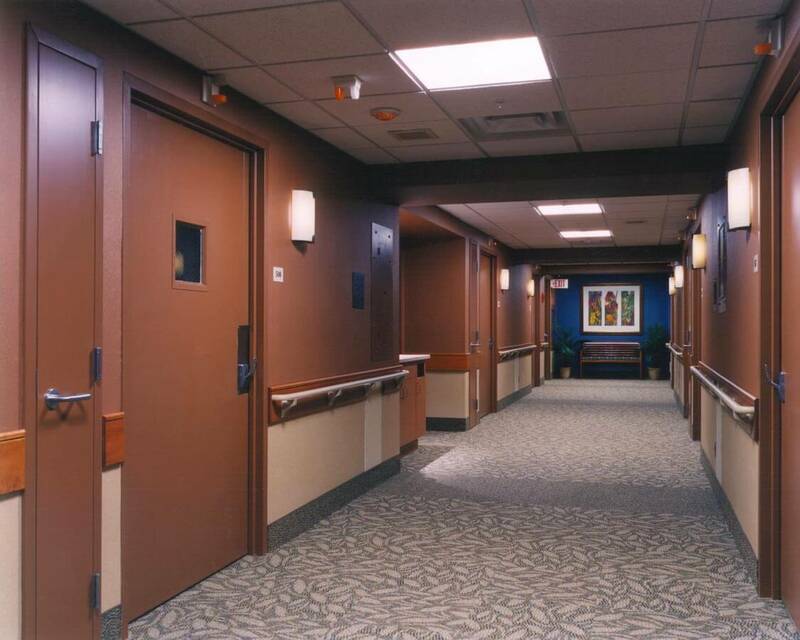 This solution was developed as a way to visually shorten a long corridor system. 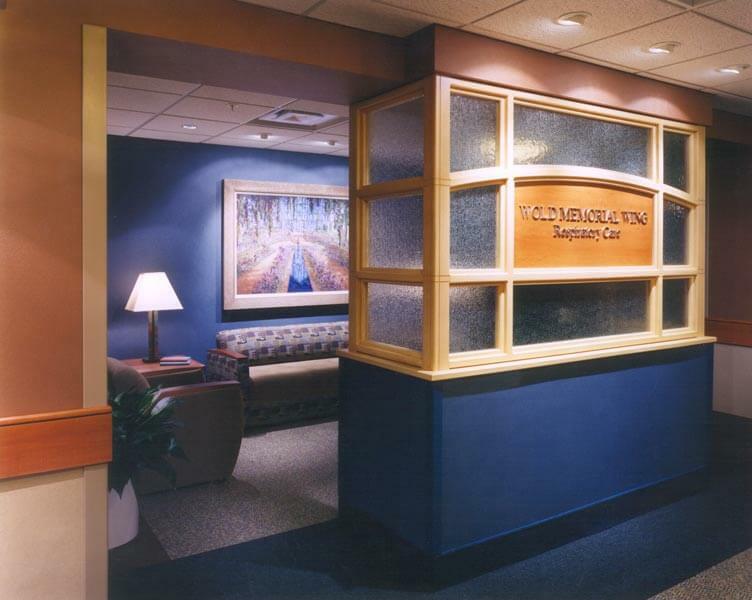 A family sitting area located off of the main elevator to the floor, is framed by a custom mill work wall with etched glass and signage that doubles as a focal point announcing the unit on the floor.